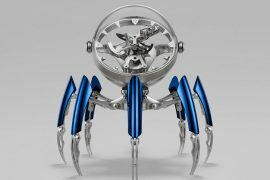 Following directly on the success of the RM 011, RM 016 and RM 028 limited editions, Swiss high-end watchmaker Richard Mille has unveiled their newest limited edition offering, RM 030 Americas. This model is specifically made for sale in the Americas. 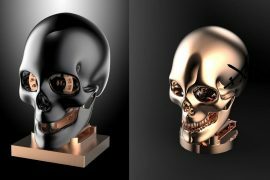 Only 30 pieces of the timepiece will be made. Cased in a 50 mm x 42.70 mm x 13.95 mm black carbon nanotube, RM 030 differentiate itself from other models with its bright orange upper flange, crown protector, and hands. The dial features white numerals and a date aperture. Inside is the novel caliber RMAR1, which features a rotor that declutches automatically. With this system, the winding barrel is automatically disconnected from the rotor’s winding mechanism the moment when the spring is fully wound. 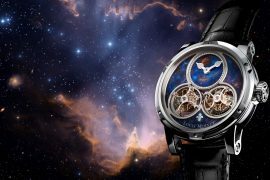 Additionally, this new mechanism is linked to the power reserve indicator to provide optimal control. This allows both the movement and the oscillator to work with the best ratio of constant torque/power to provide the best chronometric performance. The timepiece is completed by a black rubber strap. 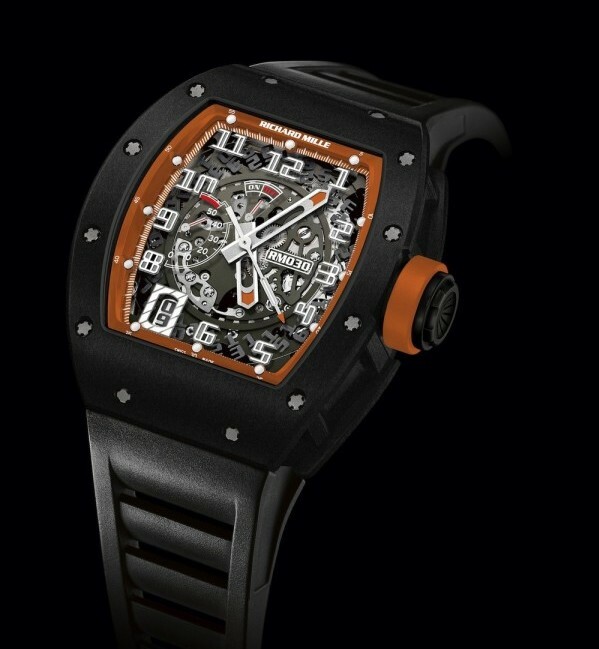 Available exclusively at Richard Mille boutiques and authorized retailers throughout North and South America.